u can also try this tasty khichadi with suji, noodles or vermicelli too.Strict Vegetarians can try capsicum or mushroom or paneer khichadis too this way. 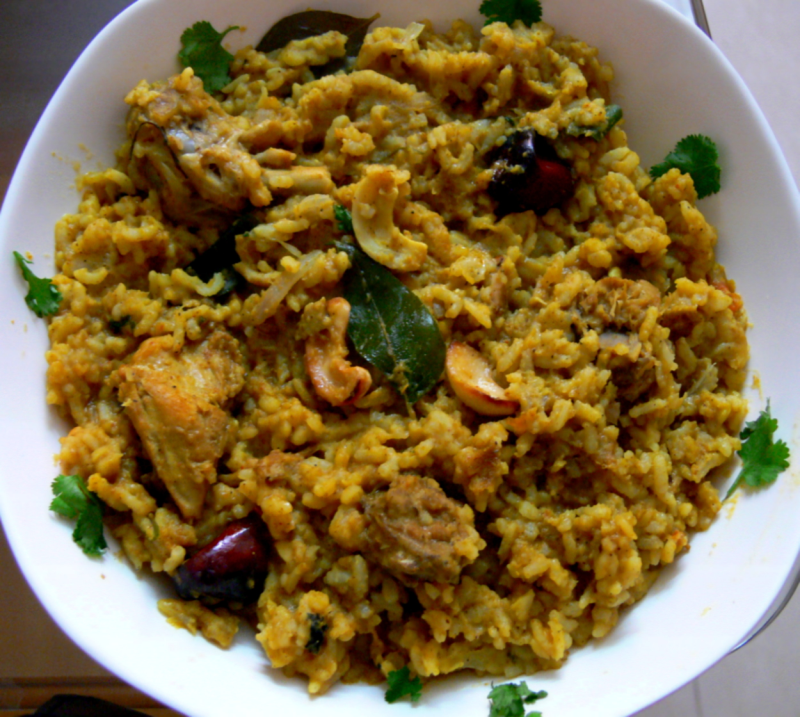 Wash Dhal and rice separately.Keep them aside.Ghee-saute basmati rice with 1 tbsp ghee. Heat the remaining 1 tbsp ghee in a pressure pan and add cumin seeds, cinnamon sticks,bay leaf,grated ginger,half the onions and curry leaves.saute for 3 mins. Then add chicken pieces,green chillies,turmeric powder,sugar and salt.saute for few mins and add 4 1/2 cups water and let it cook for 10 mins. Meanwhile take a kadai and heat 2 tsp oil and saute red chillies,shallots,fresh green peas,coriander leaves and garam masala together for 3 mins.Finally add grated coconut and saute this for a min. keep this aside. Add ghee-sauted basmati rice,split moong dhal and the sauted shallots-green peas mixture and pressure cook for 2 mins.Open the pressure pan lid after 10 mins. Serve this hot with any korma or stew or sambar or chutney.